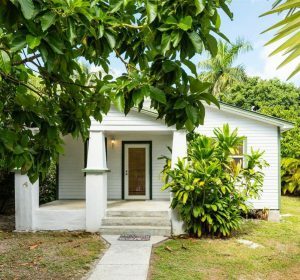 With our sales of five charming island cottages since the beginning of the year, 2016 is turning out to be The Year of the Key West Cottage. 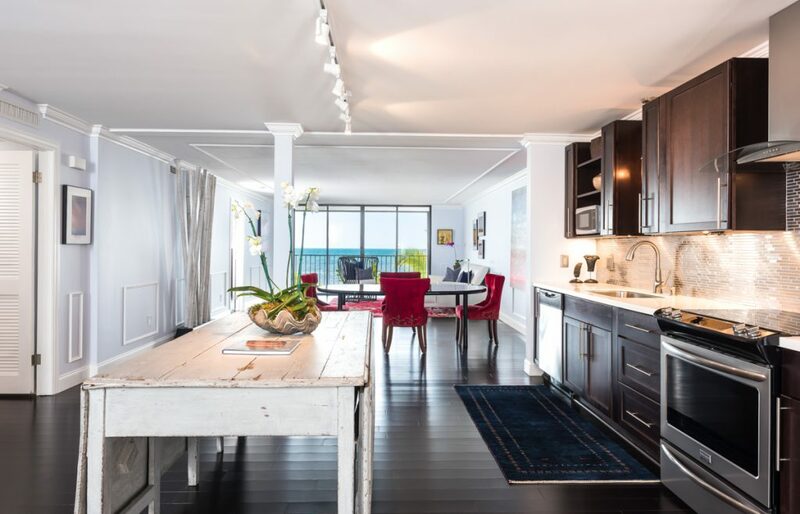 While it is not unusual—among our closings of historic Classical Revival mansions, stylish oceanfront condos, and tropical mid-century homes—for us to sell an Old Town cottage here and there, more and more of our clients are choosing cottage living. Since we happily dwell in an 1890’s cigar makers’ cottage, it is not hard for us to expound on the joys of cottage life. 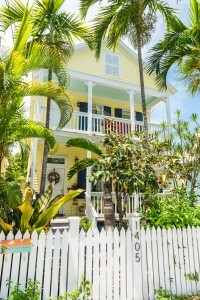 We are delighted that cottage living seems to be the Hemingway cat’s meow in Key West. 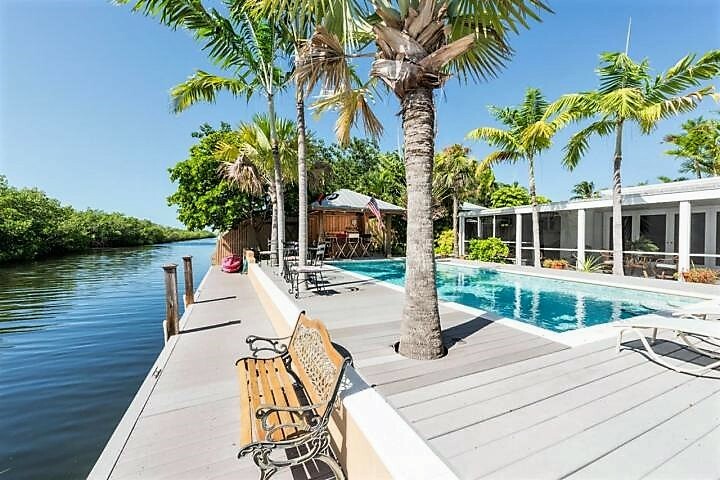 So what is it about quintessential Key West cottages that is attracting buyers? Yes, they are quaint, charming, and adorable, but we believe people are being drawn to them on an even deeper level. Among this year’s contentious presidential primaries, the Syrian refugee crisis, and terrorist attacks in Paris and Brussels, individuals and families are longing for a simpler, less chaotic time. 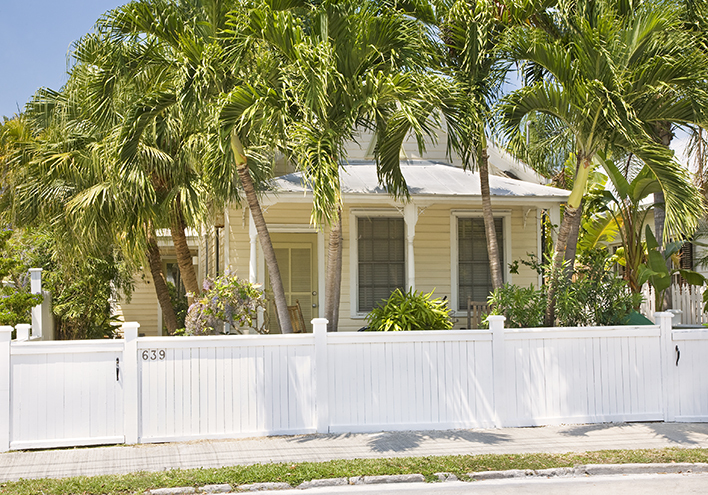 (Not long after the attacks of September 11th, Dean sold his home in Chicago and bought his first Key West cottage.) The trademark white picket fences, welcoming front porches, and Victorian gingerbread adornments of Old Town’s historic cottages evoke the cherished, uncomplicated lifestyle lived by our grandparents and great-grandparents. 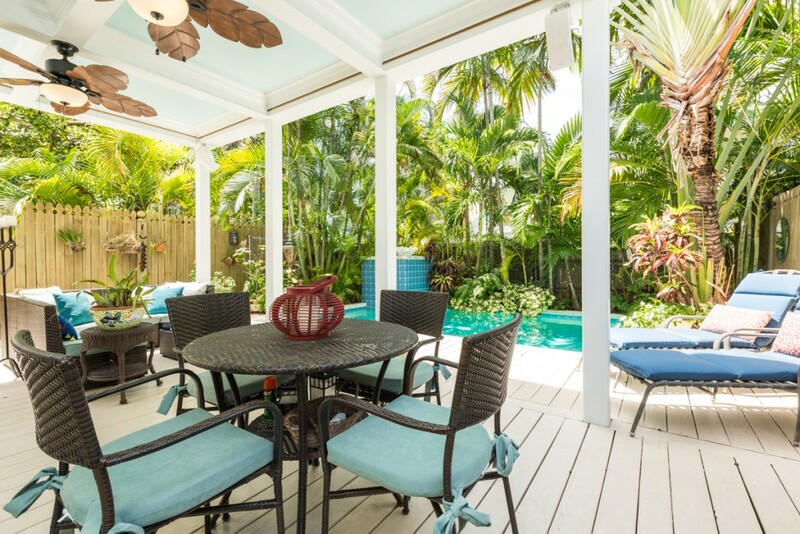 Only a distant memory in most places, Key West cottage living offers a lifestyle of strolling to dinner, visiting with neighbors, and watching the world pass by from a porch swing. 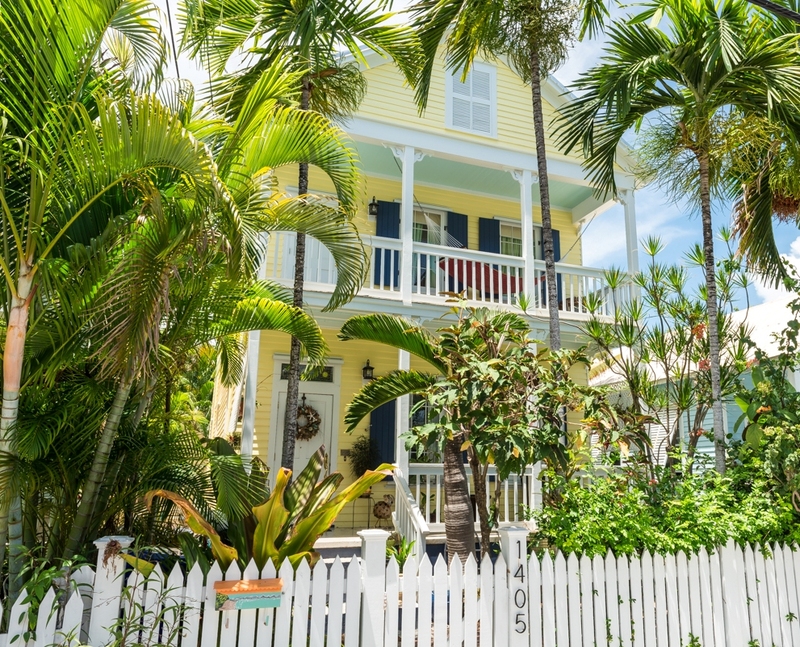 While the Florida New Urbanism communities, of Seaside, Rosemary Beach, and Celebration have worked to recreate the best of small town America, Key West is the real deal. The Charter of the New Urbanism begins with: “We advocate the restructuring of public policy and development practices to support the following principles: neighborhoods should be diverse in use and population; communities should be designed for the pedestrian and transit as well as the car; cities and towns should be shaped by physically defined and universally accessible public spaces and community institutions; urban places should be framed by architecture and landscape design that celebrates local history, climate, ecology, and building practice.” Sound like Key West? Investors have been backing these developments for over three decades because they know they offer what buyers are looking for. Key West has obviously inspired more people than us. 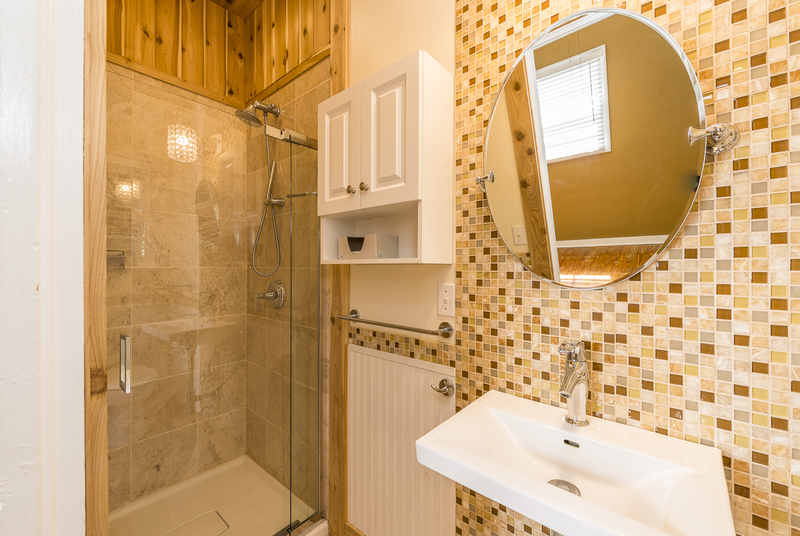 Taking up residence in a century old cottage can take a lot of getting used to for those that are accustomed to the space allotted to many of the country’s suburban homes. Although challenging, adapting to living less large can be freeing, and can certainly lead one on a path to a simpler life. 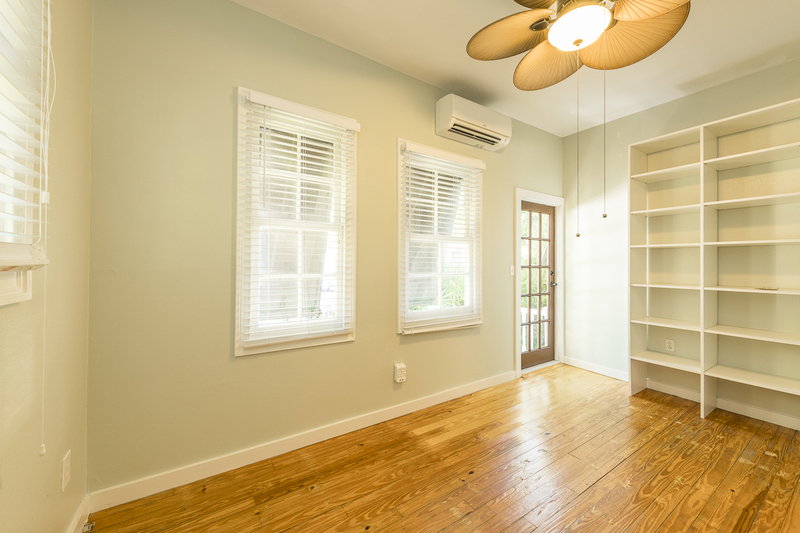 (Many Old Town cottages have been renovated to make it easier, not only maximizing space, but reflecting the best of modern living and design.) 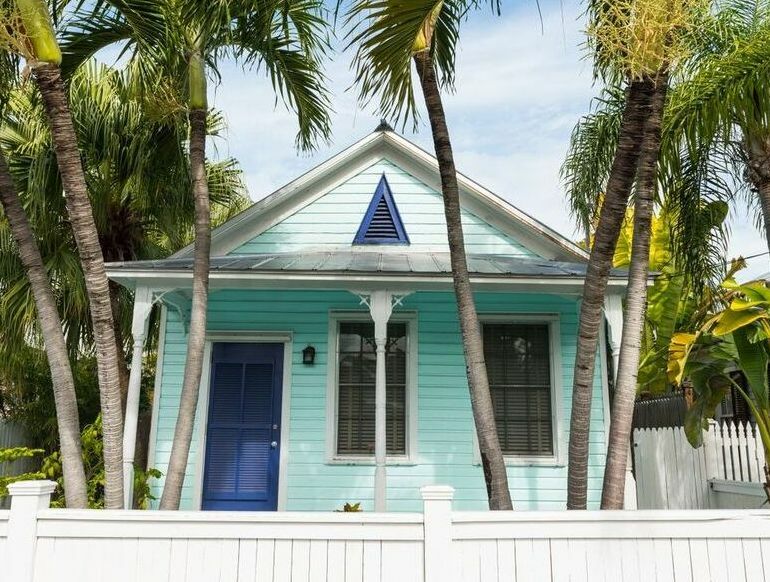 It is the Siren’s call of Key West’s laid-back, authentic, small town lifestyle that is capturing the hearts and minds of our cottage buyers and makes adapting to a different way of living well worth the effort. 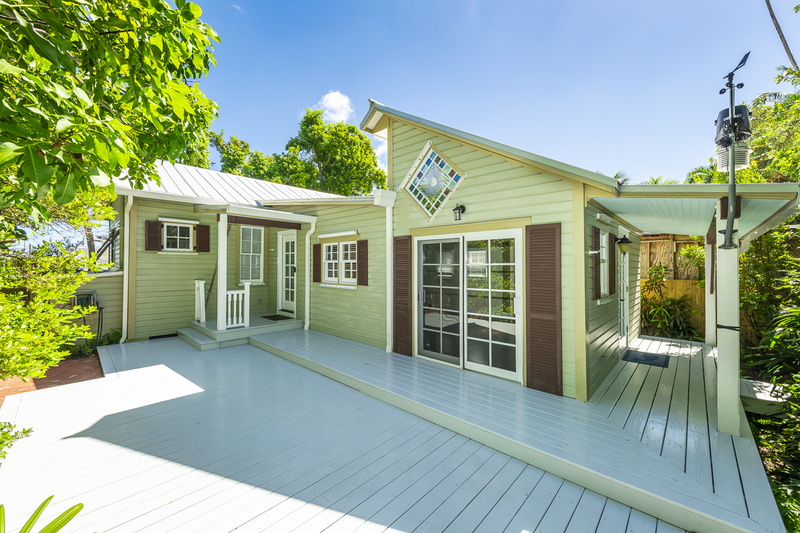 Cottage living in Key West has given us the uncomplicated lifestyle that we see our clients longing for. 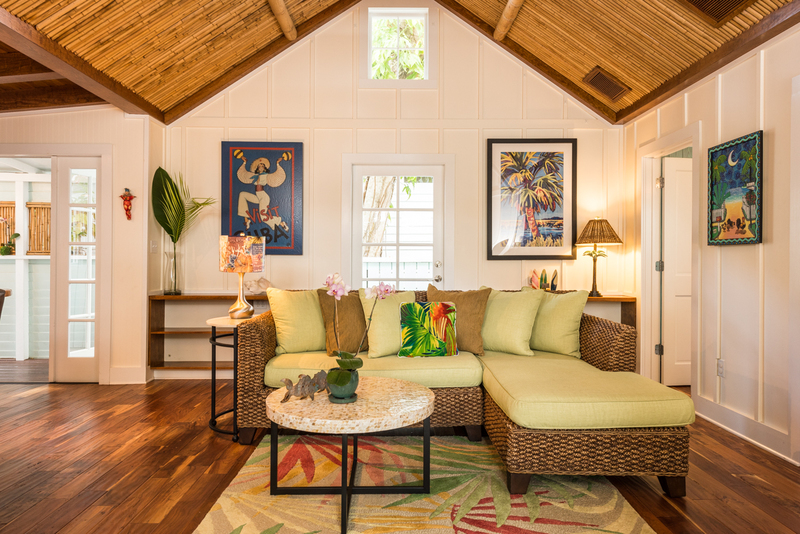 We bet that they will love living in a tropical island cottage as much as we do. 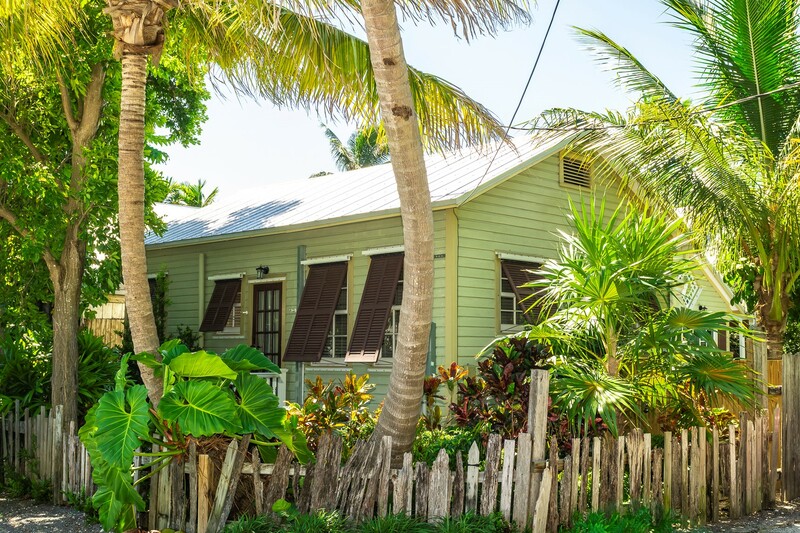 With a new listing of an exceptionally renovated Key West cottage coming our way, and clients deciding on which charming shotgun cottage to make an offer, 2016 will surely continue to earn The Townsend Team’s title of The Year of the Key West Cottage. 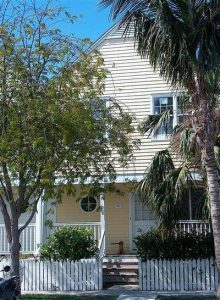 This entry was posted in Homes We Love and tagged cottage style, front porches, gingerbread, homes, Key West, Key West cottage style, Key West cottages, Key West history, key west real estate, Old Key West, Old Town, Old Town cottages, real estate, The Meadows, Victorian gingerbread on June 7, 2016 by Dean. 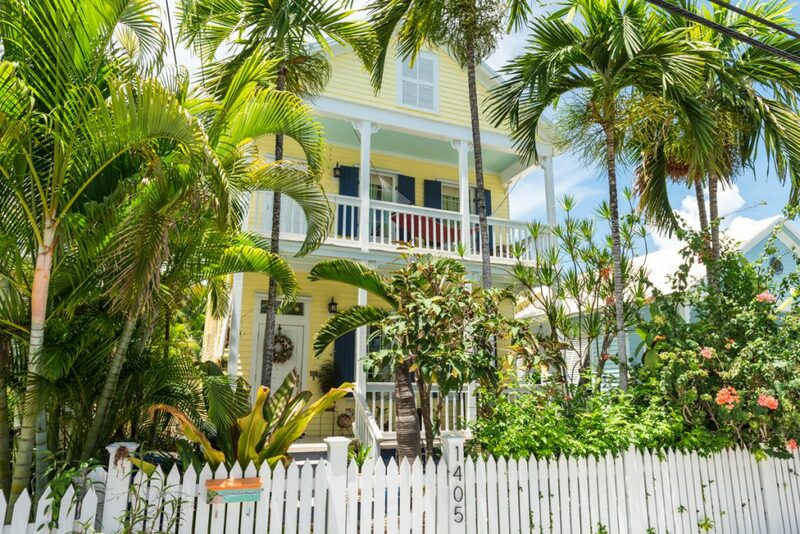 The Top 10 Things We Love About 1405 Olivia Street, Key West, FL—SOLD $1,315,000. 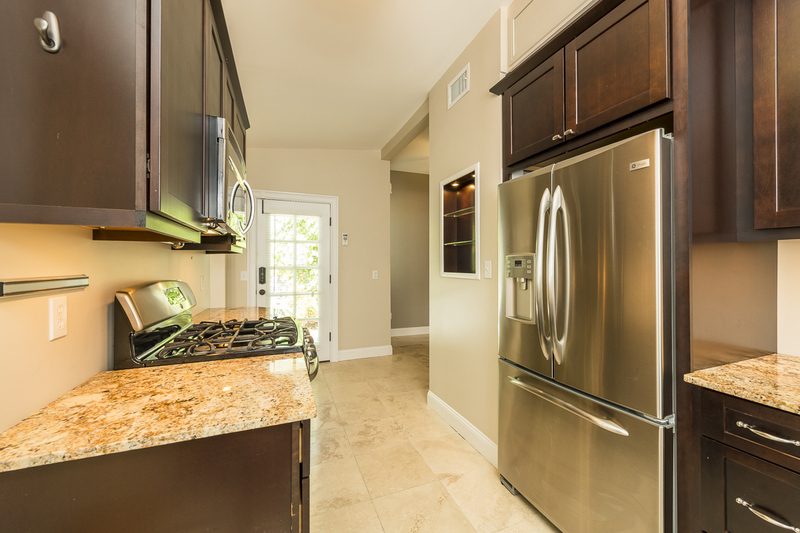 As Realtors©, we get to spend a good deal of time in the homes we have listed for sale. 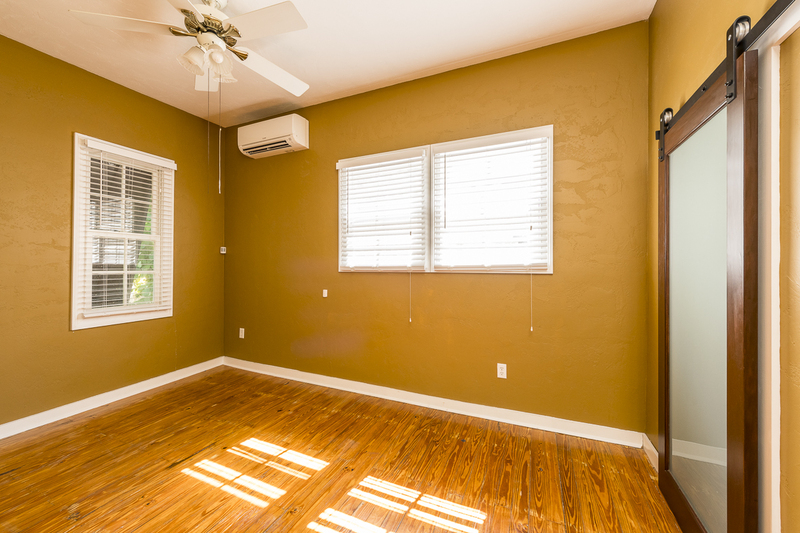 While promoting the strong selling points of a property to potential buyers during showings and open houses, we often find ourselves liking a home more and more—sometimes, we even fall in love. 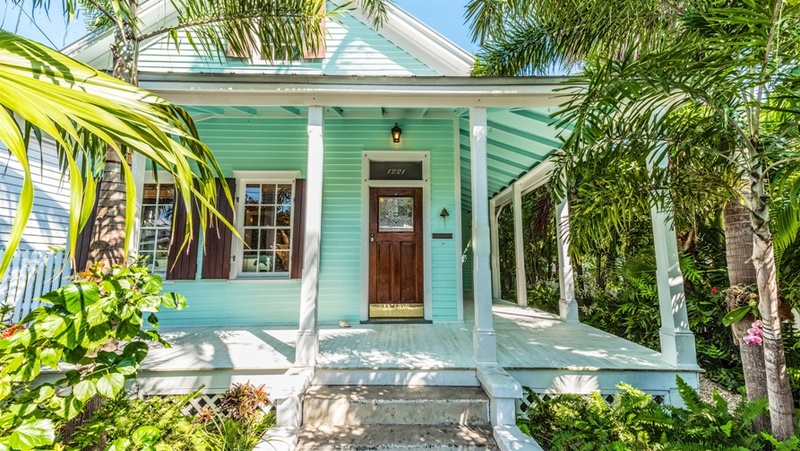 The beautiful, Classical Revival home at 1405 Olivia Street, in Key West’s historic Meadows neighborhood, is one such home. It has captured our hearts. 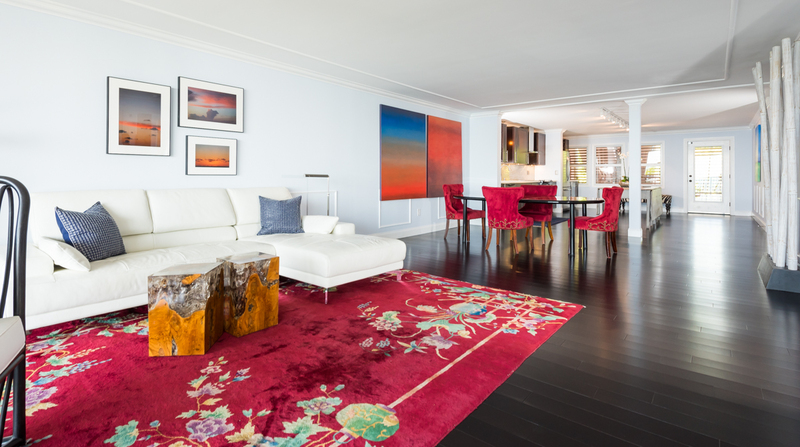 We have compiled a list of our favorite things about this wonderful family home. Enjoy! We dream of stretching out on the hammock and reading a great book, enjoying a tall glass of iced tea, and catching the tropical breezes on the stately, second story porch. 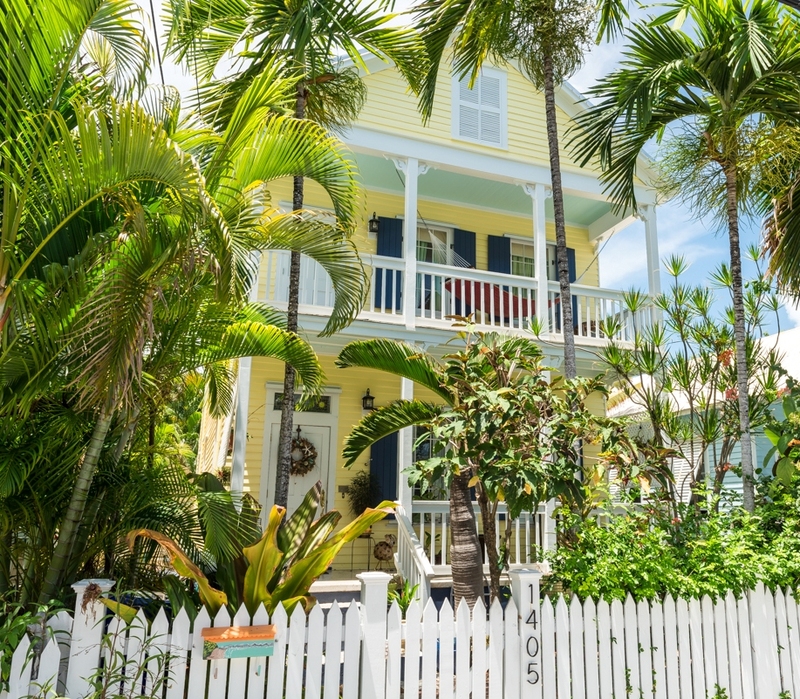 As a shining example of traditional Key West architecture, 1405 Olivia Street is one of the 2,485 buildings that are protected in the Key West Historic District. 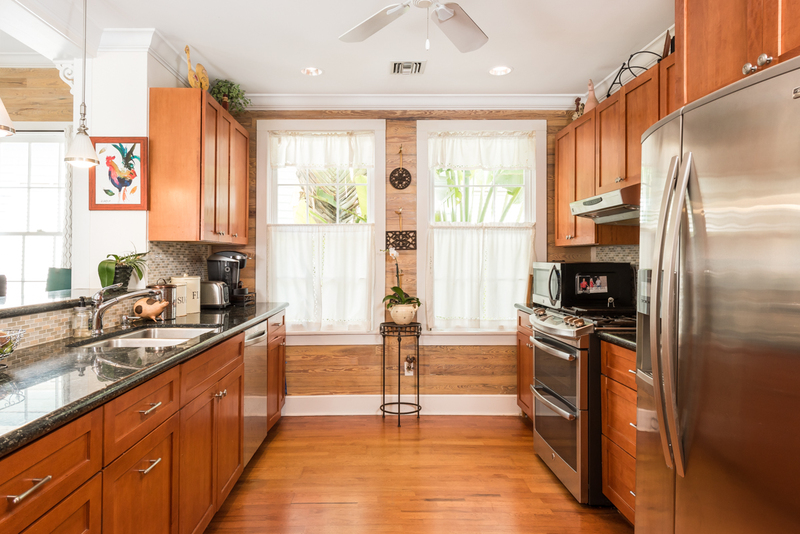 We adore the clean lines of this 1909, three bay, Classical Revival gem. 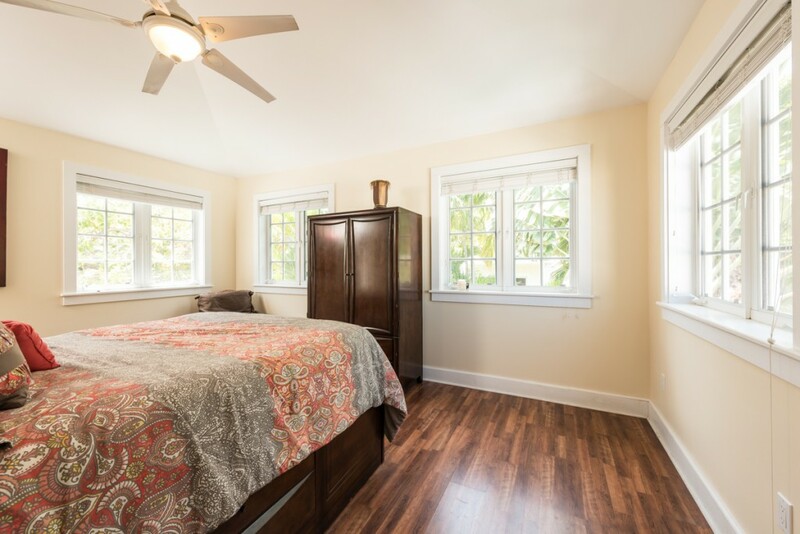 With a vaulted ceiling and four casement windows, the spacious, treehouse-like, master bedroom is bright and airy. 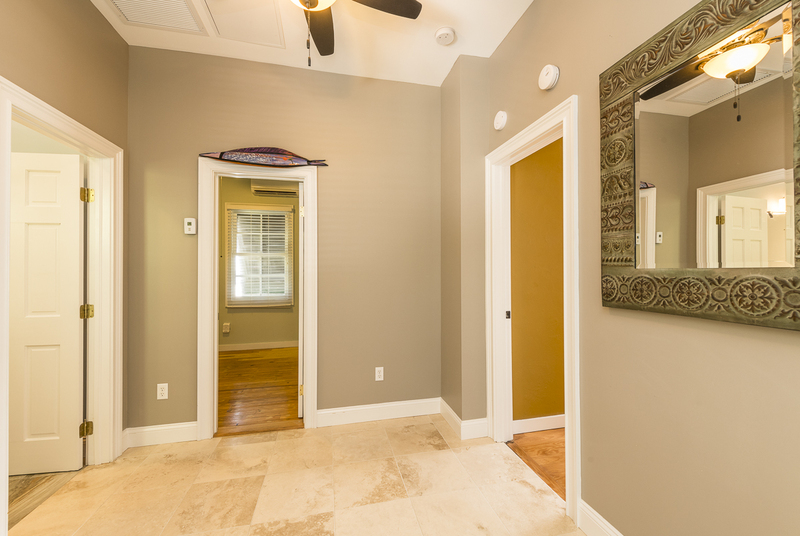 A second story addition to the house, the private master suite is separated from the other bedrooms by a sunny entry hall, large walk in closet, and an en suite bathroom. 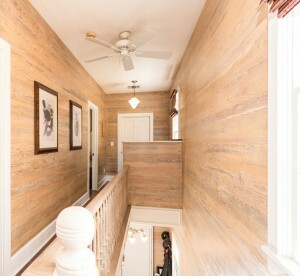 The tremendously hard work that went into refinishing and restoring the home’s original Dade County Pine walls, is not lost on us. 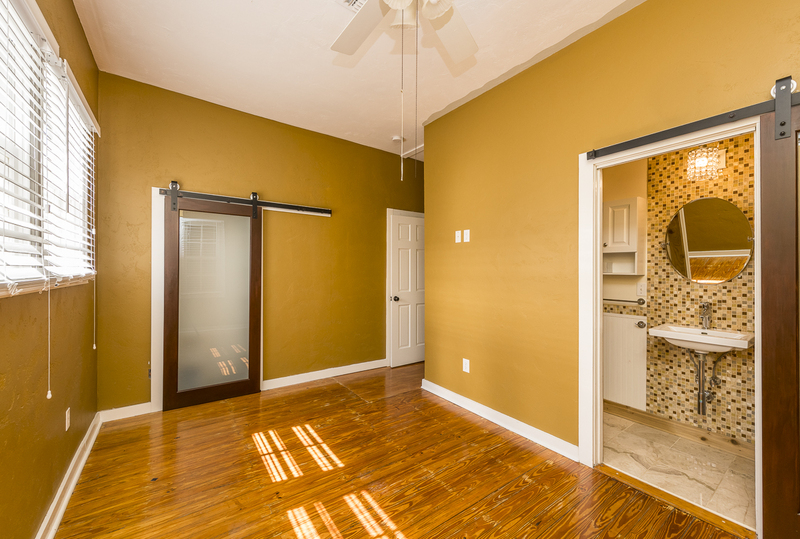 We love the beautiful pickled and stained finishes that so add to the brightness of the interior. 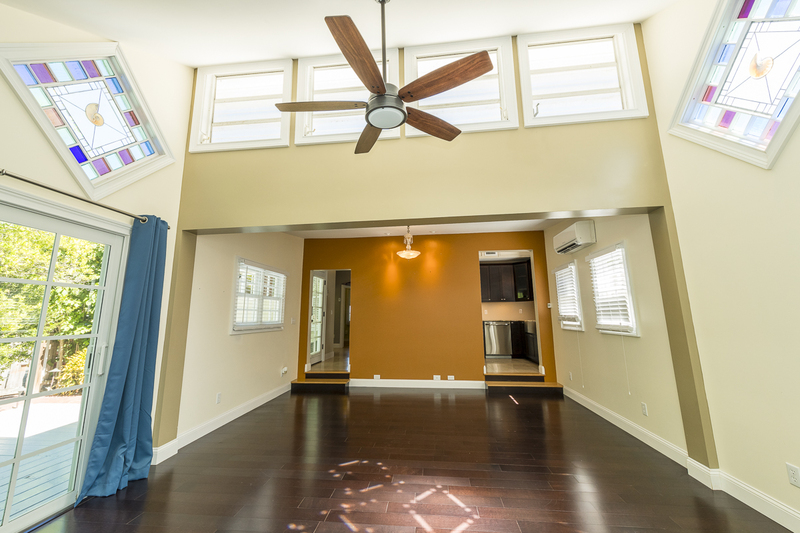 Currently used as a family room, the original parlor has also served a dining room. 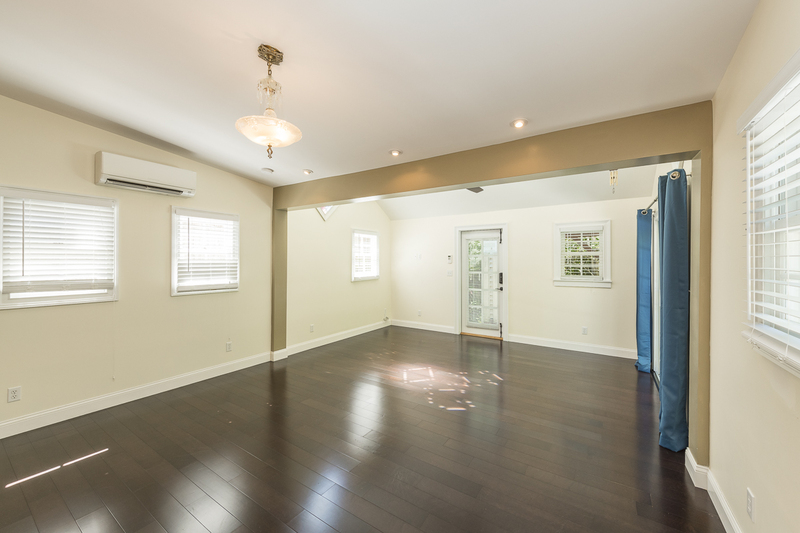 We love that the inviting space could easily be converted into a fourth bedroom with the addition of French doors. We love the home’s contemporary, open plan living design. 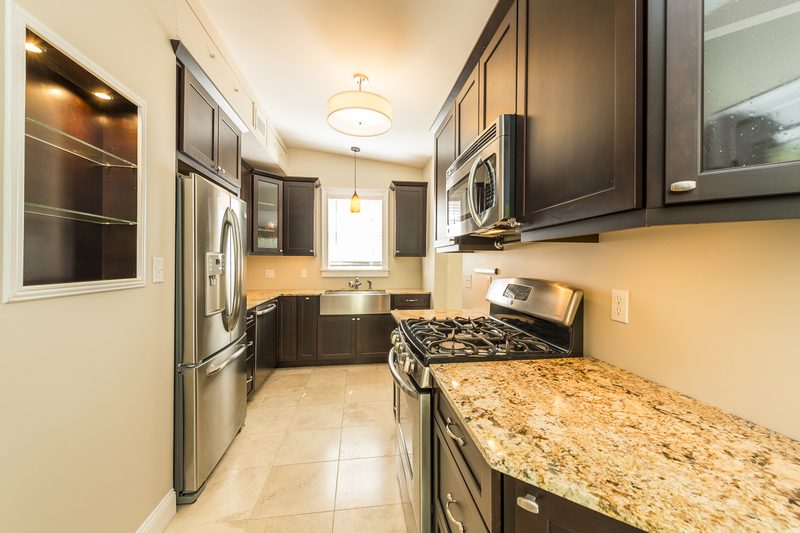 Award winning renovations beautifully maintain the home’s historic character while offering the best of modern living. 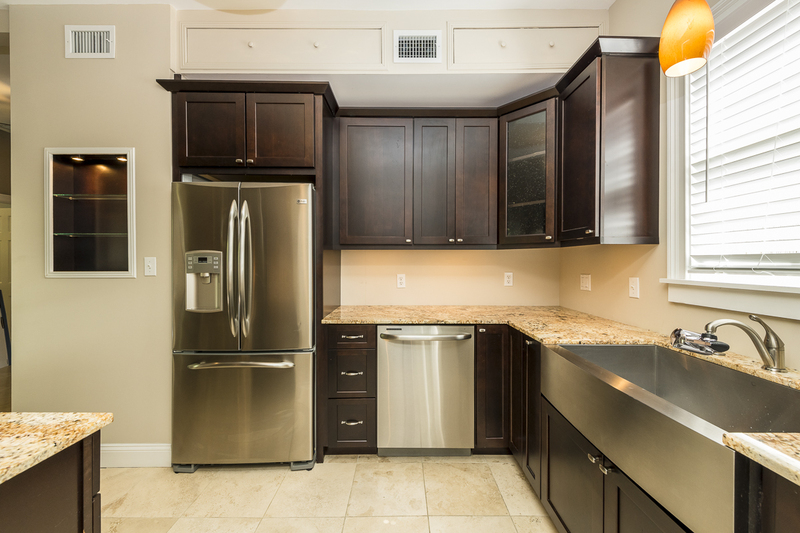 With plenty of elbow room, the smartly designed kitchen impresses us with stainless steel appliances, granite counter tops, cherry cabinets, and a gas stove. What is not to love about the pool? 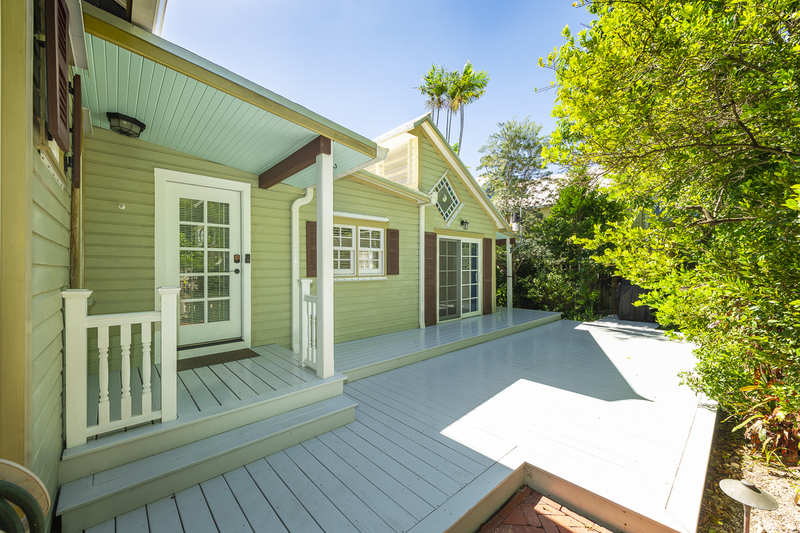 We would love to sit on the charming front porch and watch the world strolling by. The terrazzo floor covers what was once the home’s cistern. 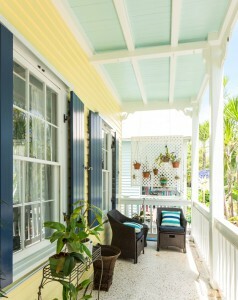 We are always enamored with the island’s blue painted porch ceilings. 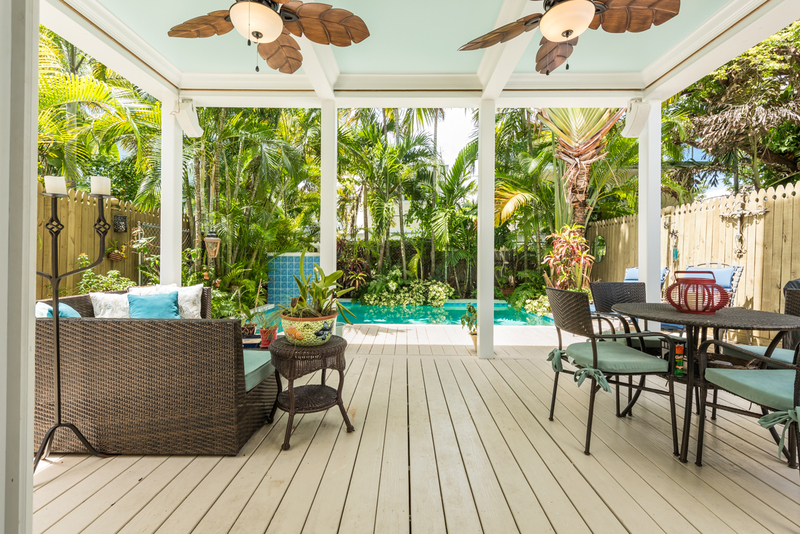 Covered outdoor space always seems to be near the top of our buyers’ lists of what they are looking for in their Key West dream home. 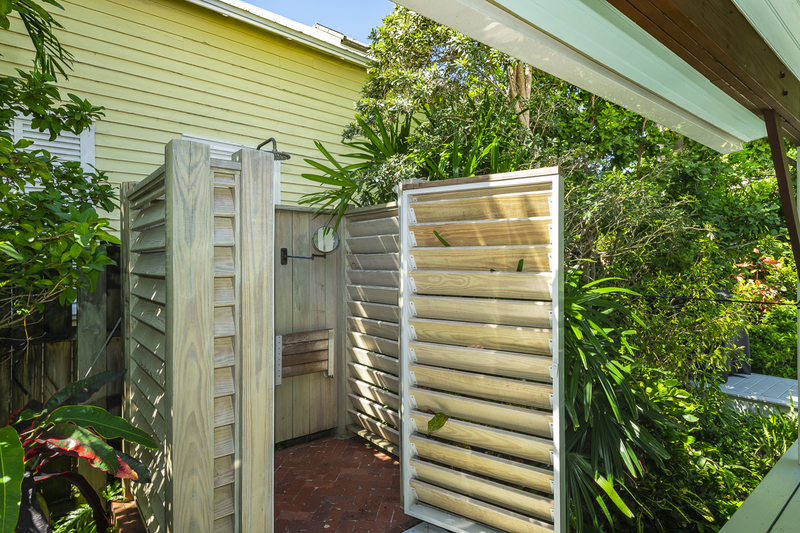 1405 Olivia Street’s commodious, covered outdoor space is perfectly fashioned for indoor/outdoor living and entertaining at its best. We love it! Click here to enjoy a virtual tour of this Classical Revival gem. 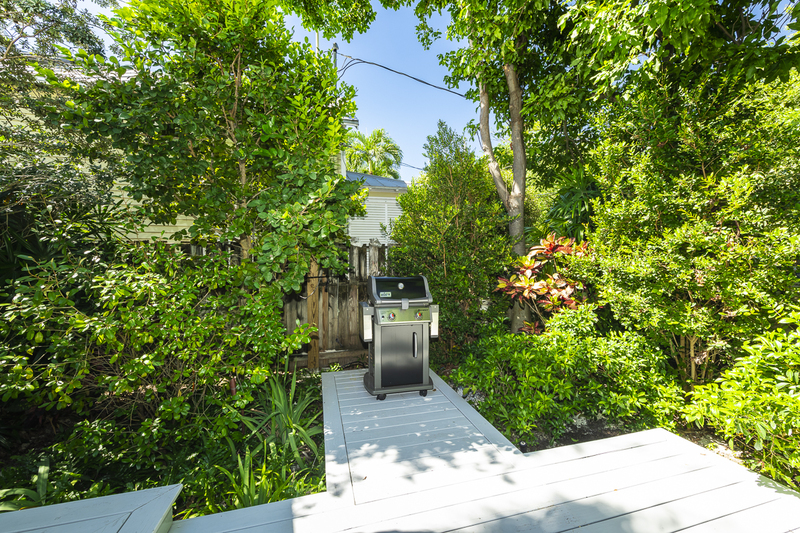 Click here to read more about 1405 Olivia Street, Key West, FL 33040. This entry was posted in Homes We Love and tagged Classical Revival Architecture, front porches, gingerbread, homes, Key West, key west real estate, Old Key West, pools, real estate, The Meadows, Victorian gingerbread on March 2, 2016 by Dean. 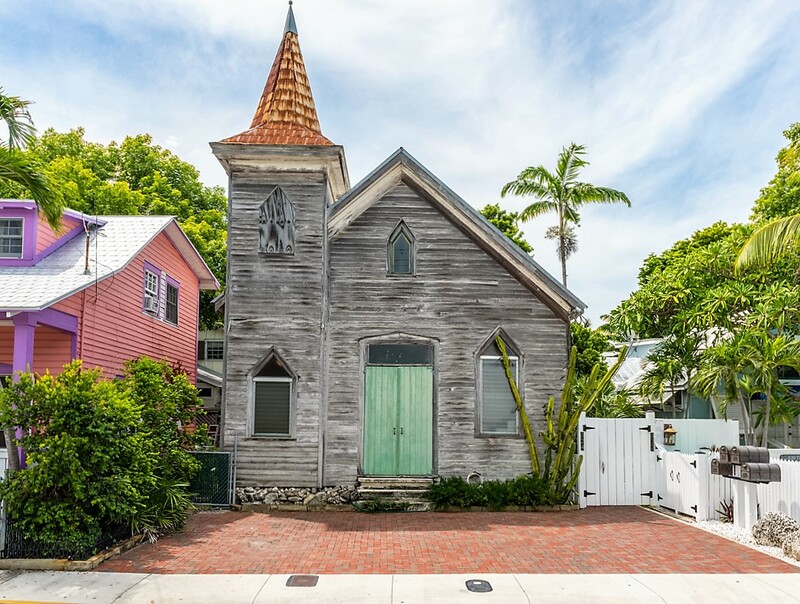 1405 Olivia Street, Key West, Florida—SOLD $1,315,000. 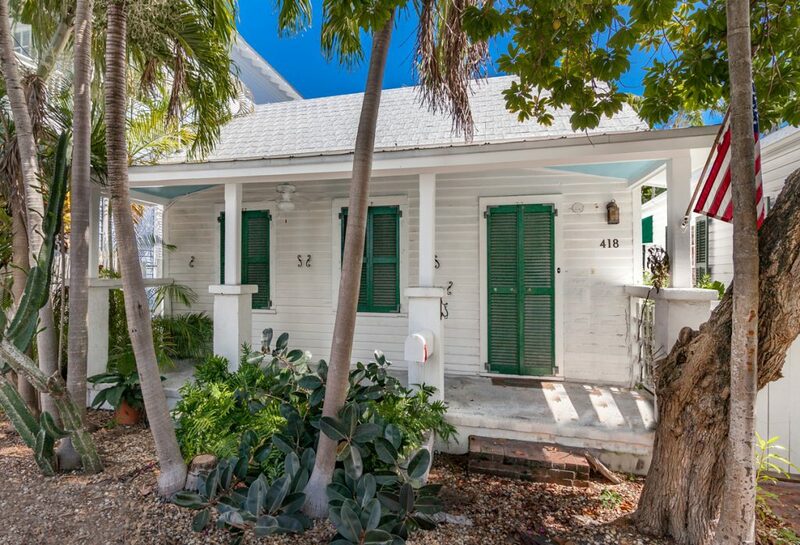 We love our new listing at 1405 Olivia Street in Key West. We love our new listing at 1405 Olivia Street in Old Town Key West. 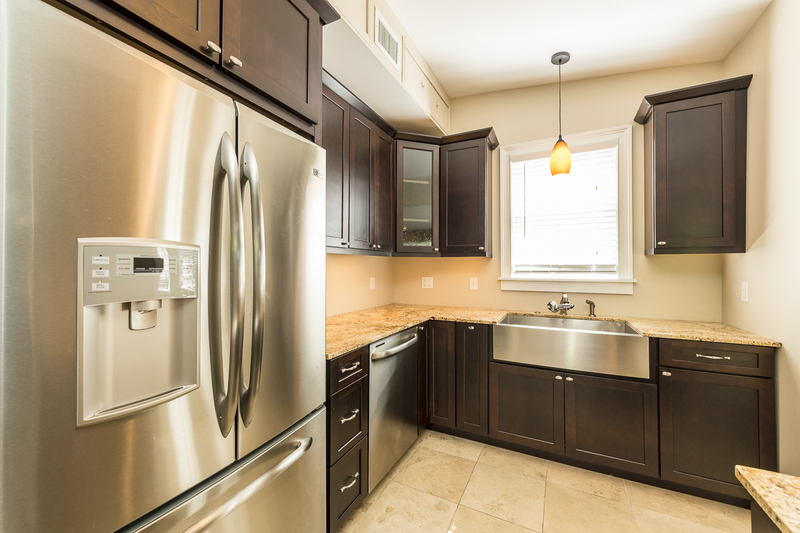 Award winning renovations beautifully maintain the home’s historic character while offering the best of modern design and conveniences. Nestled in the quaint and desirable Meadows neighborhood, this stately Classical Revival gem is not to be missed. 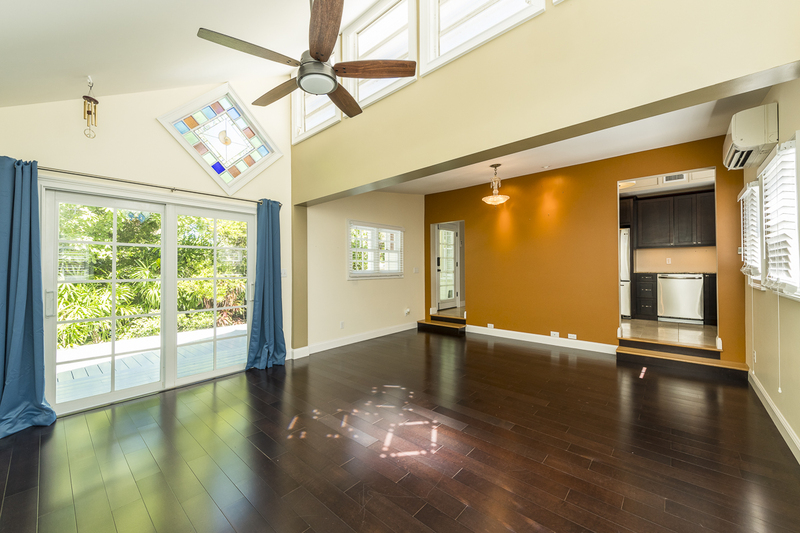 We love the beautiful open kitchen and living area. 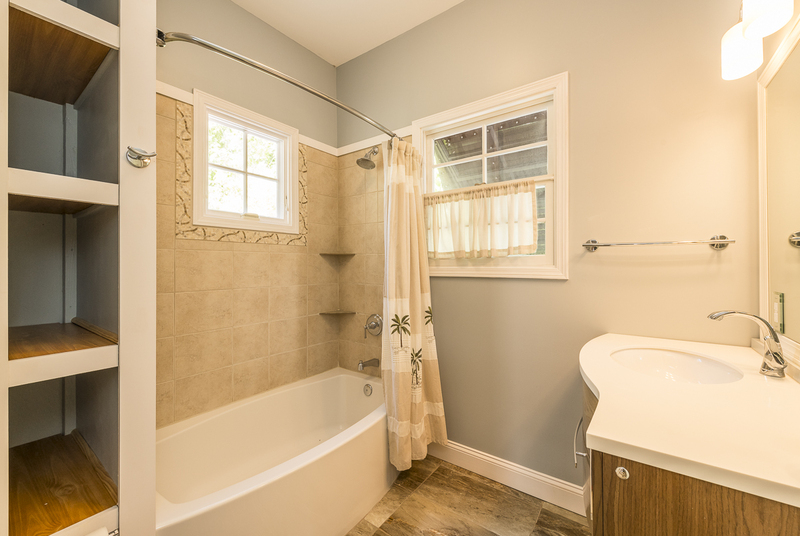 The three bedroom, two and one half bath, family home is perfectly fashioned for indoor/outdoor living and entertaining. 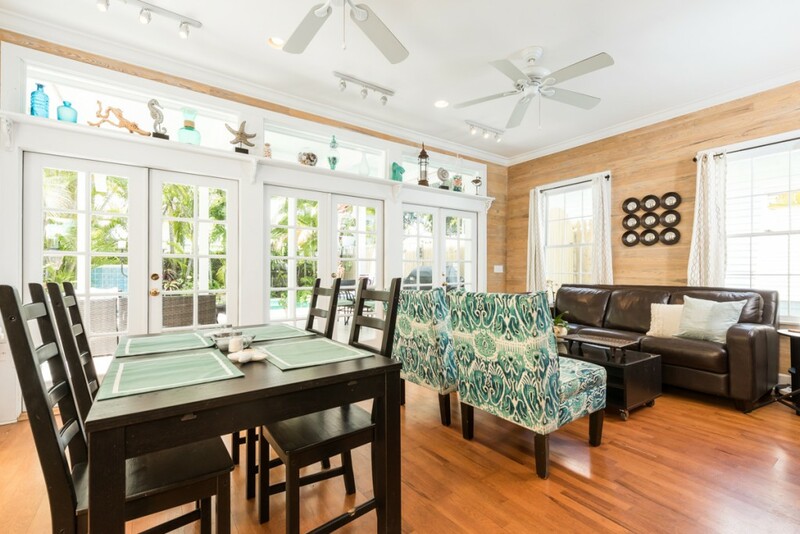 A wonderful open kitchen and living area leads through three sets of French doors to a generous covered lanai. Curl up with a good book or enjoy drinks with friends as you overlook the sparkling pool and lush garden. 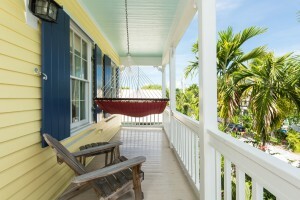 Enjoy tropical breezes as you nap in your hammock or watch the world stroll by on your quintessential front porches. Island living does not get any better. Tropical indoor/outdoor living at its best. 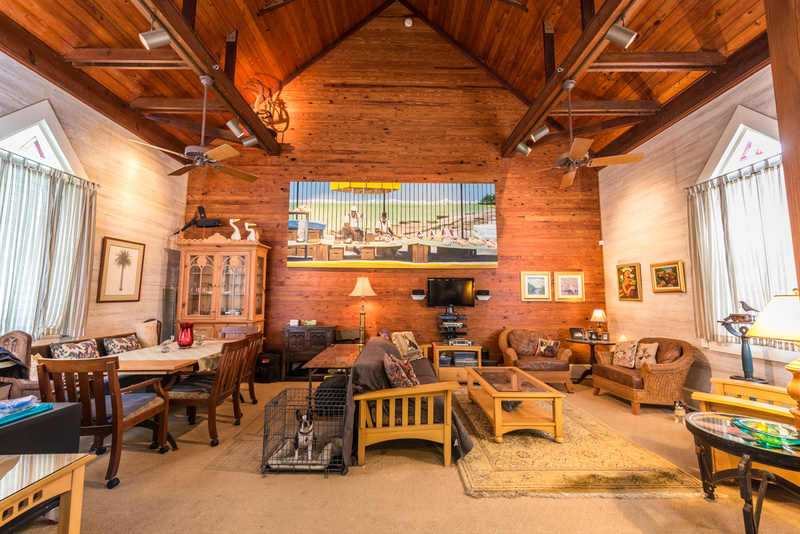 With soaring ceilings, Dade County pine walls, a grand staircase, and a master suite with treetop views, the home’s charming features will undoubtedly capture your heart. 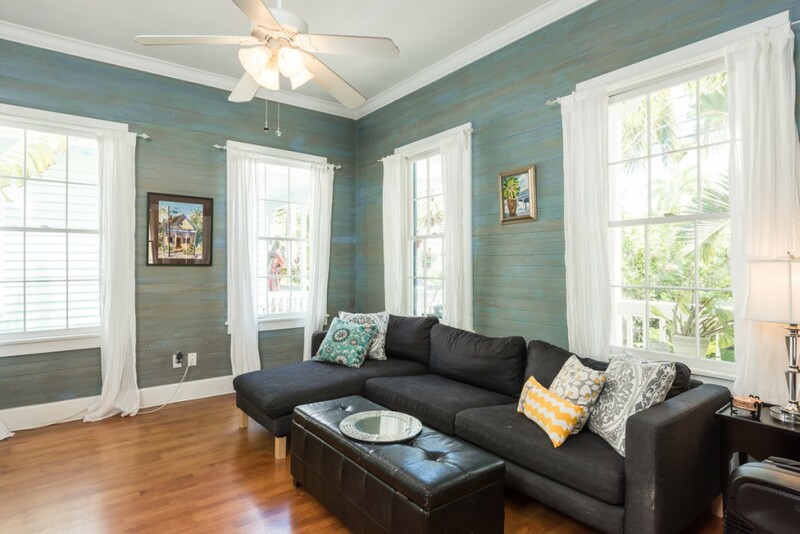 If you have dreamed of owning a classic Key West residence, 1405 Olivia Street is ready to welcome you home. Clich here to enjoy a virtual tour of this Classical Revival gem. 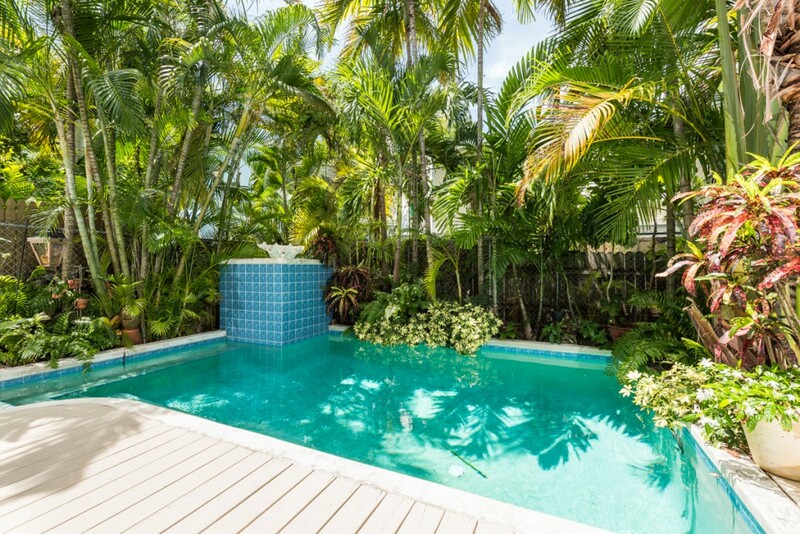 This entry was posted in Homes We Love and tagged cottage style, front porches, gingerbread, homes, Key West, Key West cottage style, Key West history, key west real estate, Old Key West, Old Town, pools, real estate, The Meadows, The Meadows Neighborhood, Victorian gingerbread on August 31, 2015 by Dean.